I made this red carpet cake for my daughter in law’s 30th birthday. She is so special I wanted to go the extra mile for her cake. I baked 2- 12″ round, 2 -10″ round, 2- 8″ rounds and 2- 6″ round cakes. I made homemade carrot cake for the 6″ rounds and decided not to use them once the cake started taking shape. The 2- 8″ rounds were homemade lemon and the 10 and 12″ rounds were deep dark chocolate. I made my own fondant and covered 3 tiers. I used sugar sheets and cut out star shapes and stripes. 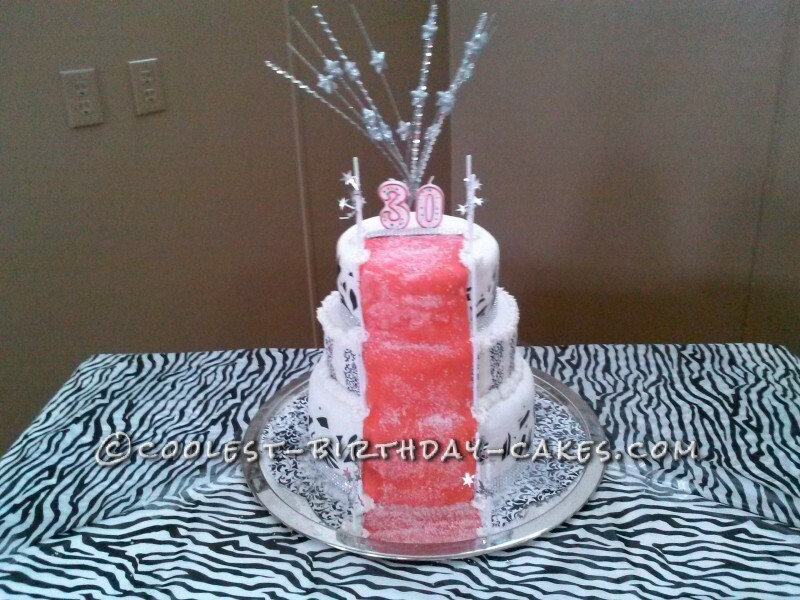 I used cake decorator strips looked like silver jewelry around 2 tiers. 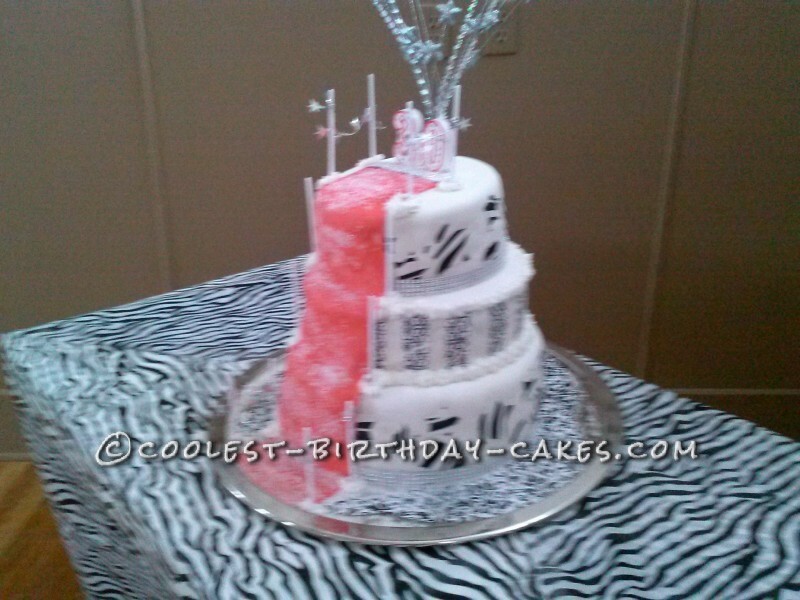 For the middle tier I used butter cream at the top and base and sprinkled white sparkling sugar on top making it sparkle. I made the red carpet out of fondant and colored it red. Man, a lot of red food coloring used. 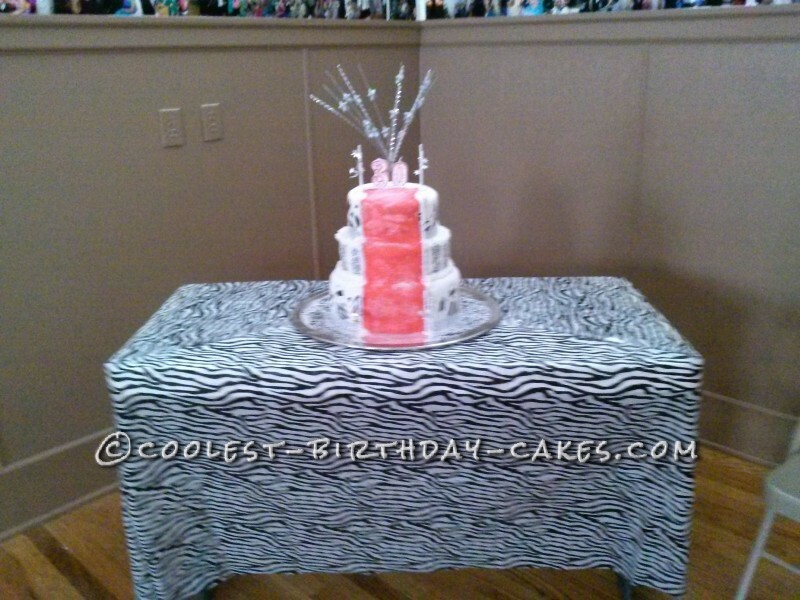 My friend Sheryl helped me assemble the cake at the party location. It took us 2 1/4 hours to assemble the cake. It was a hit and I am very proud of it. Oh, I sprinkled sparkling sugar all over the red carpet and put candles on top. This is the 5th special cake I have made. I love it! 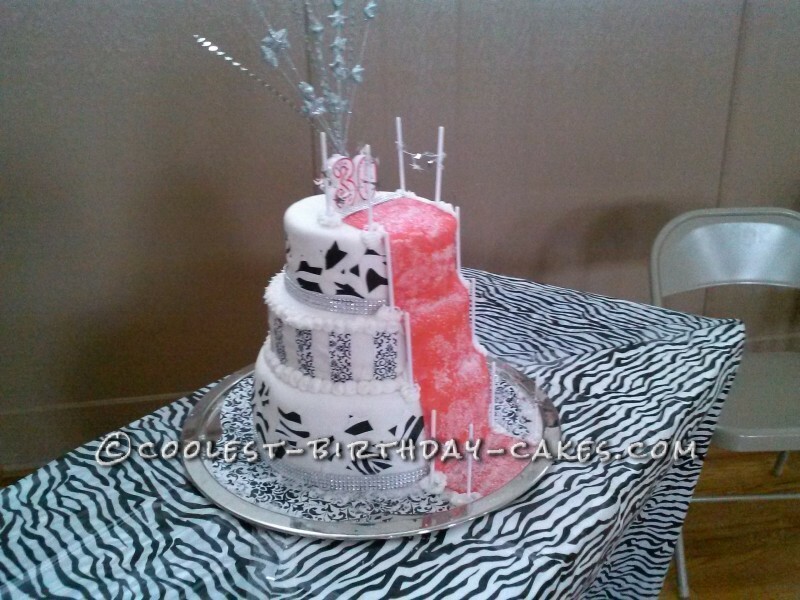 Birthday cake idea posted by Cindi F.